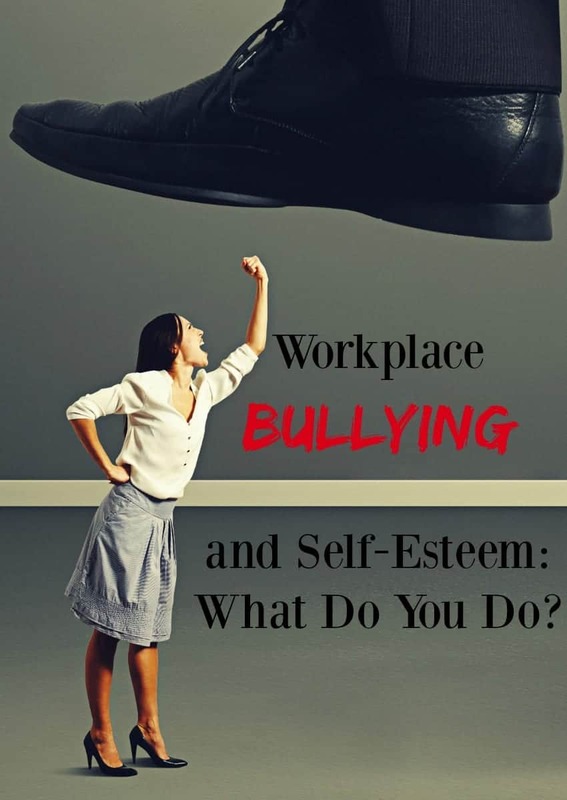 Workplace Bullying and Self-Esteem: What Do You Do? Bullying doesn’t end in the schoolyard. Unfortunately, there are many adults who experience bullying in the workplace. Too often people do not even realize they are the victim of a workplace bullying. They just think that person is, well, ‘not nice’ for a lack of more vulgar terms. Chances are you are not alone in this problem either. But how do you handle this person when they come around again? Have you been the victim of workplace bullying? How did it affect you? What are some actions you took in to make it stop? Share your stories with us below and help someone else. A bully often feeds off the energy you put out when they come around. You have to make the decision in your mind that you are not going to let that person get into your head and make you feel bad about yourself. It is important to remember this: they are putting you down because they don’t feel very good about themselves. How they treat you is a reflection of how they feel about themselves. Take a deep breath, and the next time they come into your space, doing what they always do, tell them what they are doing. For example, ‘Everyday you pass by my cubicle, you stand close and lean over and read my emails. Why?’ He (or she) isn’t going to expect this from you. Then tell him how it makes you feel. Use very simple words such as ‘To be honest, my emails and work are not meant for you to read, so when you come into my space, it makes me feel like I need to change screens, and that is just a waste of my time.’ Now tell him what you will not tolerate. You can say something to the tone of, ‘From now on you are not welcome in my work space unless I invite you in. Your actions are quite distracting.’ If he is so bold as to bother you again, you need to be prepared for confrontation in a professional manner. It might sound futile, but just jot a note down every time you are bothered. Mark the date, time and what transpired. This will help if and when you might need to go to management. Do not hesitate to get management involved as well. Work, like school, should be a safe environment for you to go to and do your job. Don’t assume the people above you are aware of what is going on on the floor. You might not even realize the effect a bully is having on your both emotionally and physically. Would you normally allow someone (someone whom you do not even like) to have an effect on your body and how it functions? Depression, anxiety, weight loss or gain, these are all things that you can experience from being bullied at your place of work. Are your personal relationships suffering because you are unhappy with your job? No one should have this kind of negative effect on your personal life, especially someone you work with. One thing you should not do is keep quiet. A bully is banking on the fact that you are scared of what he might do or say to you to embarrass you in front of your co-workers. He does not expect you to talk about his actions, whether it be face-to-face or to the people who sign his paycheck. Bullying is not something you would allow your children to put up with, so do not allow yourself to ‘deal’ with it either. I haven;t been a victim of it but I have seen it happen. It is so important to set boundaries with coworkers from the start. It’s so sad that even adults engage in this type of behavior. It’s so abusive and detrimental to others. I have worked from home so i have never been a victim of workplace bullying. I am not a fan of confrontation but is in necessary sometimes. These are great tips. We have a bully at our workplace and it isn’t pleasant. It’s so important to stand up for yourself but it can be challenging to do at work. These are great tips. I’m a girl who doesn’t take anything from anyone. So I’d stand up for myself, and let them have it. It’s completely unacceptable. Often times workplace bullying can be very hard to deal with. It’s especially hard when the bully is your boss. When I finally stood up to my boss, I paid the price. I always stand up for myself. No matter where I am or what the situation is.